There are clubs and organizations all over the country devoted to casino chip collecting. People collect all kinds of chips, and old and rare casino chips can be very valuable. 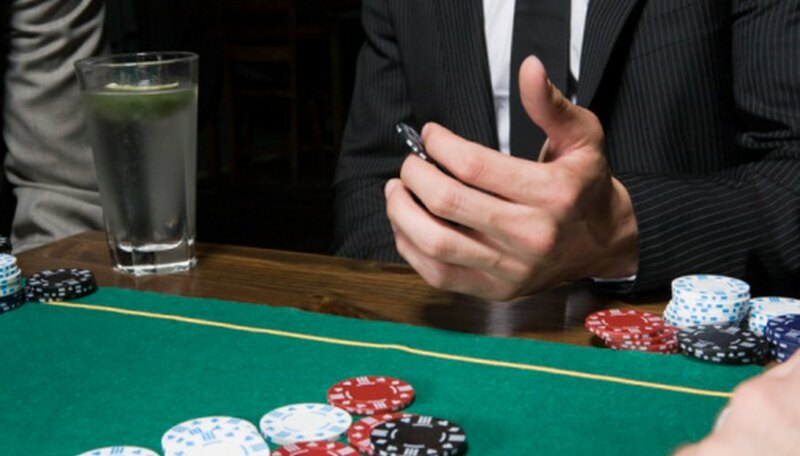 If you own any casino chips, they may be highly sought after by collectors. There are many books and databases devoted to valuable casino chips. To assess the value of your chips, you need to do research. Examine your poker chips. Do they have special markings? Were they made for some kind of special event? What kind of images or text do they use? Poker chips are valued just as much for their history as they are for their age and rarity. Look for signs that indicate unique qualities inherent in the chip. Look for chips that have been "canceled." Canceled chips are chips that have been marked in some way to indicate that they are no longer redeemable for cash. They are usually marked by drilling, stamping, or some other method noticeable to a casino. A canceled chip may no longer be produced, increasing its value to collectors. Consult guidebooks and websites that are geared toward chip collectors. Look for information on the qualities that your chips have. One comprehensive guide is "The Official U.S. Casino Chip Price Guide" by James Campiglia and Steven Wells. Attend chip shows. Chip shows have other avid collectors and experts that can give you valuable information on the value of your chips. There are many clubs available for chip collectors. Check to see if there are any in your area. Ilya Kovic is the owner and founder of his own business: The Magic of Ilya Kovic. He began attending the University of Florida in 2010 and holds an Associate of Arts from Edison Community College in Naples.